The Oregon Association of Health Underwriters is a state member of the National Association of Health Underwriters (NAHU), which represents nearly 20,000 local professional health insurance agents and brokers. 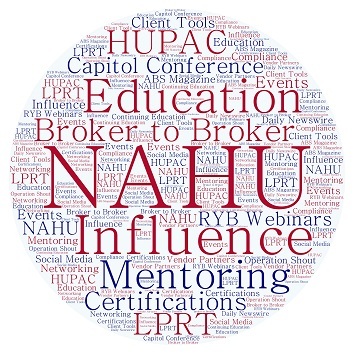 NAHU represents more than 100,000 licensed health insurance agents, brokers, consultants and benefit professionals through more than 200 chapters who serve the health insurance needs of employers and individuals seeking health insurance coverage. Without a fully unified private health/disability insurance industry, the chance of maintaining private sector insurance delivery is greatly diminished! We have all seen government attempts to take over health care delivery, as we know it. There is little doubt that such proposals will continue to surface in the years to come. The survival of competitive individual sales of private health/disability depends on each member’s strong affiliation, strong positive image, and representation before the public and public officials. Providing a unified message to all these opinion leaders is essential and best done by your association. OAHU chapter dues are not deductible as a business expense because of lobbying and political activities. What Has NAHU Done for Me Lately? Instrumental and largely responsible for the LTC partnership legislation that passed at the federal level, creating a private/public partnership that made it more feasible for people of moderate income to purchase private long-term care insurance. Instrumental in the passage of the Trade Adjustment Assistance tax credit for the purchase of health insurance, as well as getting purchasing vehicles lined up in the states to ensure that eligible individuals could use the credit. Instrumental in the development of the Genetic Discrimination law to prevent it from increasing the cost of health insurance coverage. Largely responsible for the passage of federal high risk pool funding which did not exist until we lobbied for it. Instrumental in the language allowing the CHIP program to make further use of private insurance as a vehicle for S-CHIP funding. During the development process of PPACA, lobbied for and were successful in getting provisions that would have had agents subject to Medicare marketing rules for all exchange offerings. Lobbied for repeal of the free choice voucher and were successful. Advised and were successful on technical issues related to pooling and reinsurance on the bill before it passed. Lobbied for the inclusion of agents and brokers in exchanges both individual and small group. Lobbied for and were successful in increased wellness incentives in all types of health insurance plans. Instrumental in the passage of HSA legislation as a part of the Medicare bill, as well as many of the risk adjustment provisions included in MMA, and Part D of the Medicare program. Negotiated MLR from 90/10 to 80/20. Negotiated the safe harbor on the affordability penalty of the employer mandate. Worked for and work successfully in the repeal of the 1099 reporting rule. Negotiated the look-back provisions on the employee counting rule. Negotiated the 30 day waiting period to 90 days. Lobbied and were successful in using existing small employer policies as an essential benefit model instead of using a service by service model. Were successful in getting 280 cosponsors on the broker bill that would remove agent compensation from the MLR calculation, as well as getting a Senate cosponsor with 12 cosponsors.